If you are holding your event or party at a park or other outdoor location, you will be required to provide your own source of electrical power. All Hampton Roads Jump inflatables do require their own single source electrical outlet for the blowers. 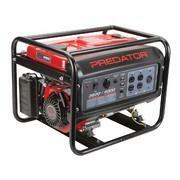 Our generators are the perfect solution. Check your location's requirements to be sure you'll have the power you'll need.